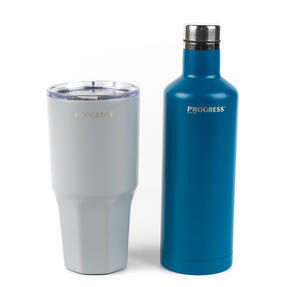 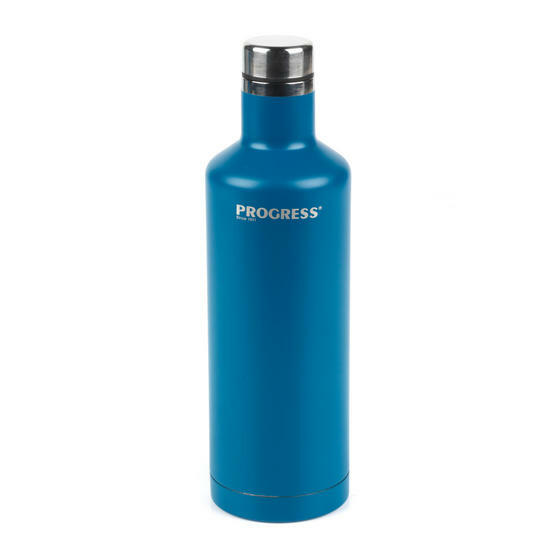 Stay hydrated all day with these Progress thermal insulated cup and bottle set, suitable for enjoying hot and cold drinks for longer, wherever you go. 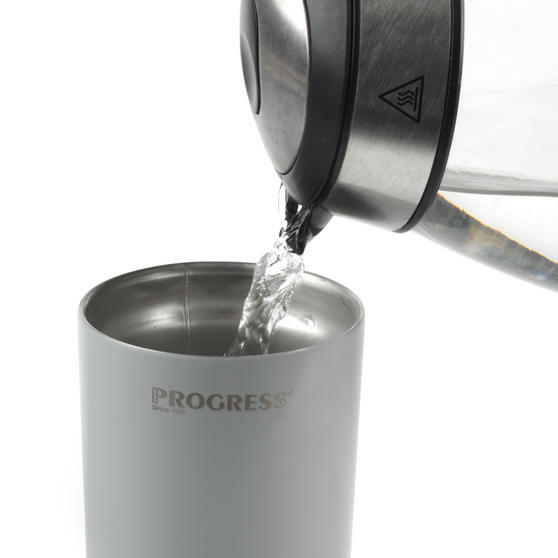 Ideal for busy days in the office, the insulated stainless steel will keep your coffee hot for up to six hours or cold drink chilled for up to 24 hours. Each with a generous capacity, they are BPA-free and have spill-proof lids for instant access to your drink, while the smooth, contemporary shapes and matte finish will look great in any setting. 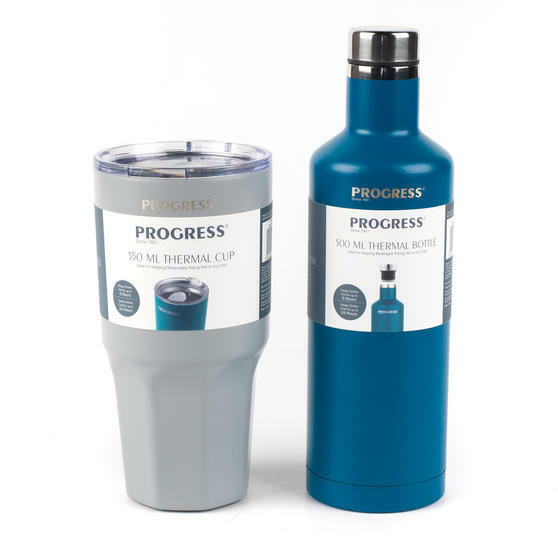 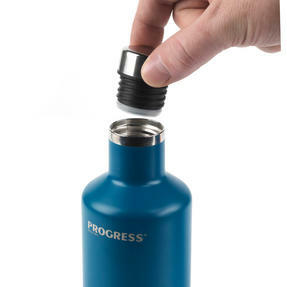 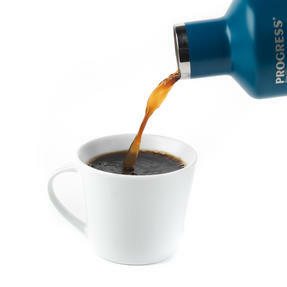 These Progress travel cups are thermally insulated to keep your drinks hot for up to six hours or refreshingly cold for up to 24 hours. 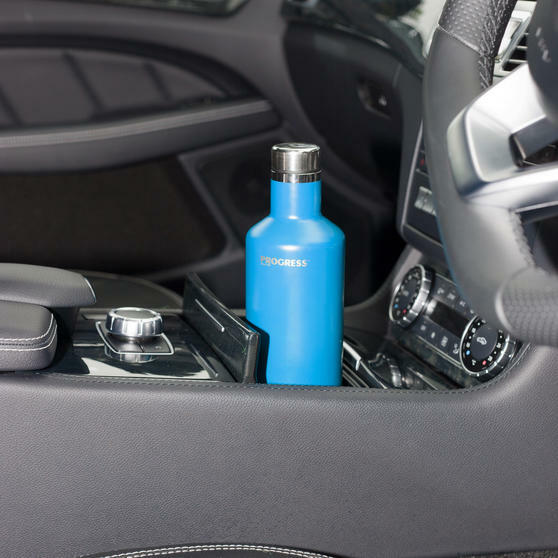 The 550ml cup is essential for your commute, while the 500ml bottle is perfect for the gym or to keep you energised throughout the day. 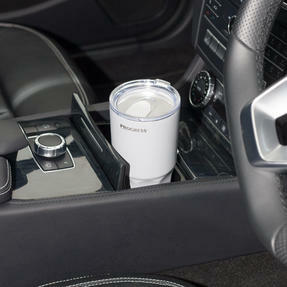 More reliable than plastic or glass, they each have non-slip bases and are conveniently designed to fit any standard cup holder. Take sips using the sliding lid cup and screw top bottle, while the suction-tight lid will maintain the temperature of your drink. 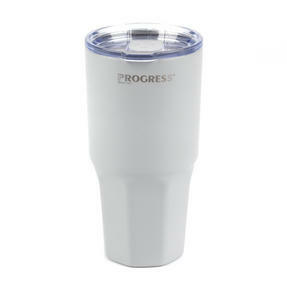 The matte finish and smart designs make the cups stylish, practical and brilliantly portable with easy grip and lightweight feel.